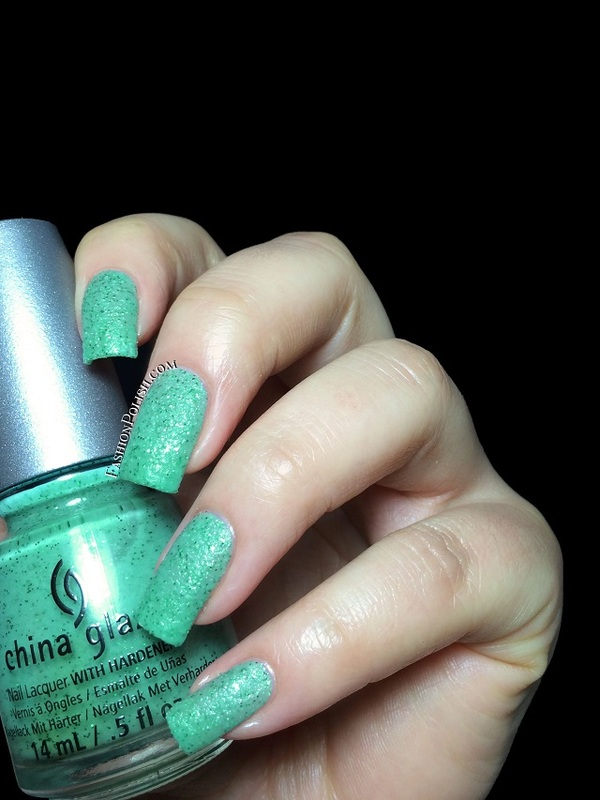 Fashion Polish: China Glaze Sea Goddess collection swatches & review! 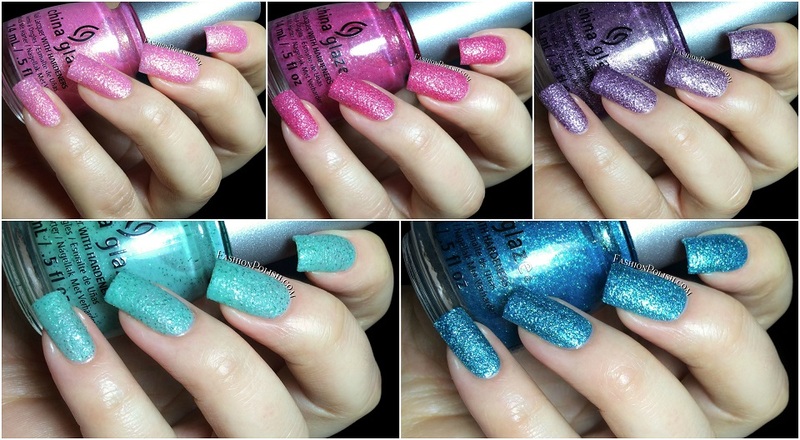 China Glaze Sea Goddess collection swatches & review! Hi guys! How was your Monday? Today I have swatches of the latest China Glaze collection : Sea Goddess! I remember really loving their creme Texture collection last year (and that black Bump in the Night for Halloween! Best black texture ever!) so I was really curious to try these out as well. Unfortunately my bottle of Sand Dolla Make You Holla didn't make it through shipping so I "only" have the other five to show you but I hope you'll still find this review helpful! Application was really nice on the entire collection although they seemed to have different consistencies but I'll just tell you about them all down below. 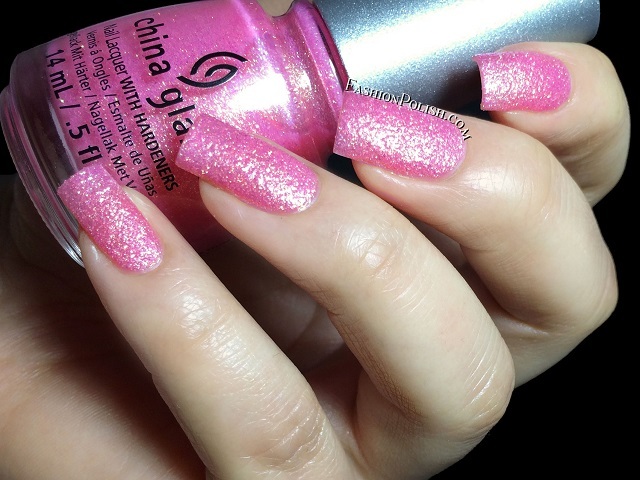 Wish On A Starfish is a light bubblegum pink with gold shimmer ad lots of sparkle. It had an almost jelly-like base, slightly on the sheer side. I was happy with how it looked after 2 coats but you might want to add another if you prefer more opacity. This is 2 coats and no topcoat. 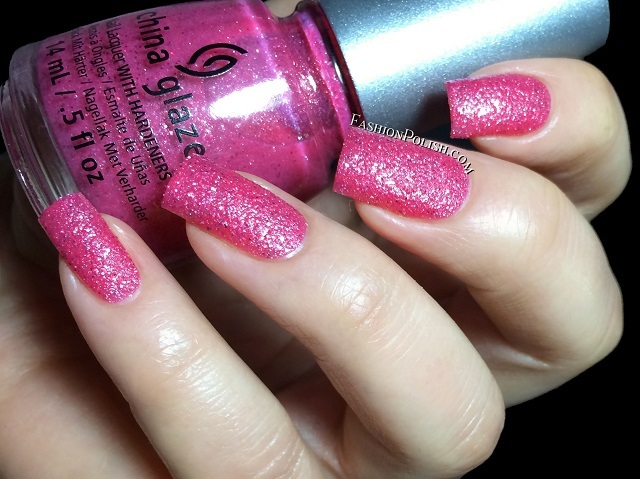 Shell We Dance is a medium pink base with silver and pink glitters. Formula was very similar to Wish On A Starfish and I also used 2 coats and no topcoat here. 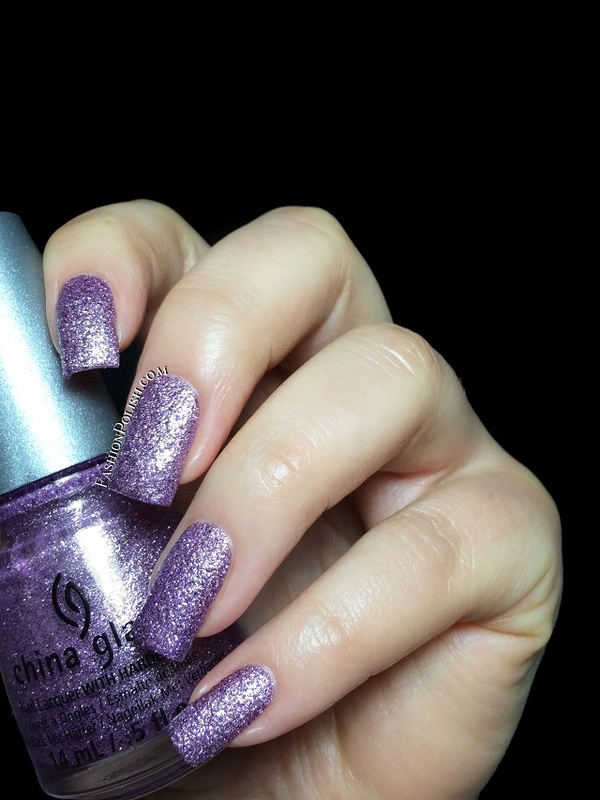 Tail me Something is a light lavender with matching shimmer and micro glitter. This one has a metallic feeling to it somehow and was much more pigmented. I used 2 coats for complete coverage. Teal The Tides Turn is a warm mint creme with green glitters. The base was very creamy and nicely pigmented in this one. It dried to a shinny finish so it's completely different from all of the other textures I've tried so far. Coats used : 2 and no topcoat. Seahorsin’ Around is a saturated turquoise jelly with turquoise and gold shimmers. It reminds me a lot of OPI Catch Me In Your Net / Zoya Charla / Orly Halley's Comet so if you loved any of these, there's no doubt you'll love Seahorsin’ Around! 2 coats and no topcoat here as well. There's nothing groundbreaking about this collection but I ended up loving most of them anyway. I think the only one I could skip is Tail me Something but the pinks especially (and surprisingly!) turned up to be my favorites along with Teal The Tides Turn! Did you grab or try any of these? How do you feel about the texture trend?